In 1942 the US military needed to send low-frequency signals so that they could communicate with their submarines circling Japan. 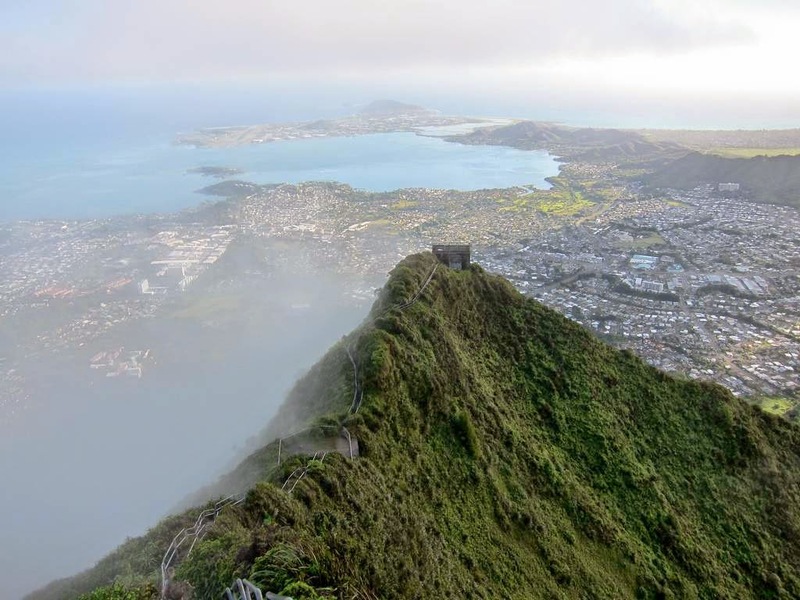 They needed a radio transceiver and they needed it to be really high, so the peak of Puʻukeahiakahoe mountain in Hawaii was chosen. 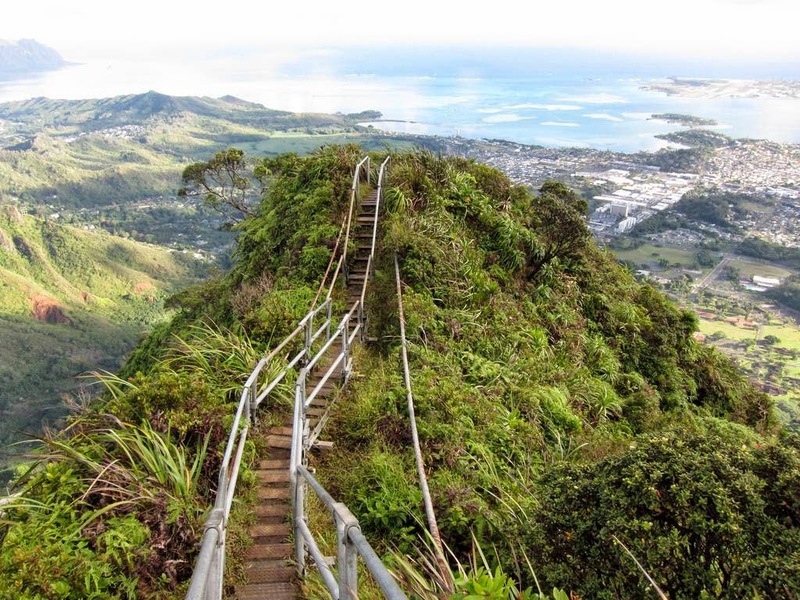 A somewhat wobbly wooden pathway was made and the transceiver and its antenna cables were installed. 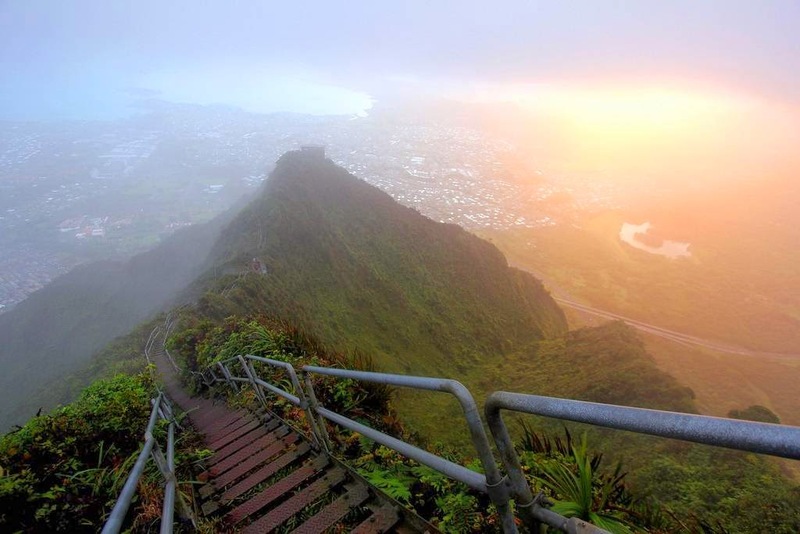 The pathway is still there today, but is out of bounds to those who wish to climb this Stairway to Heaven as it has become known. 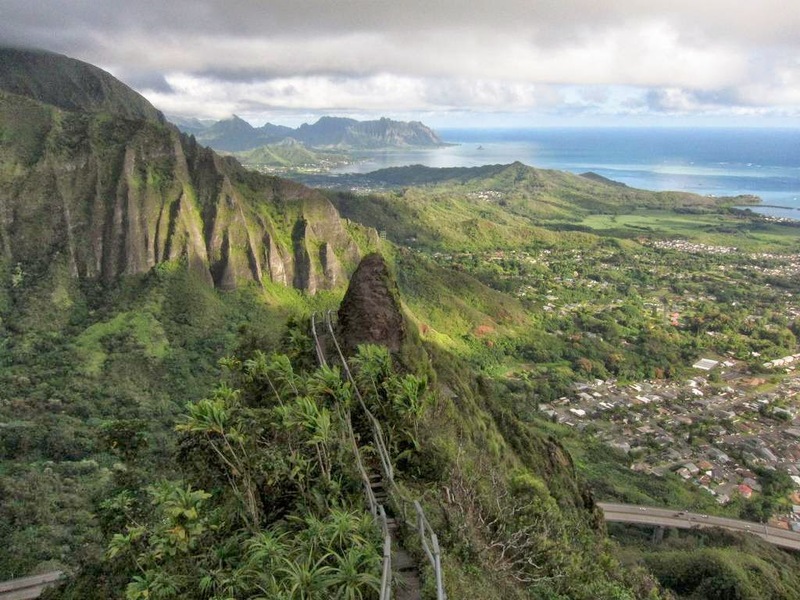 As you can see, however, the forbidden nature of this walkway does attract visitors: several dozen people a day hike up to the summit of Puʻukeahiakahoe. 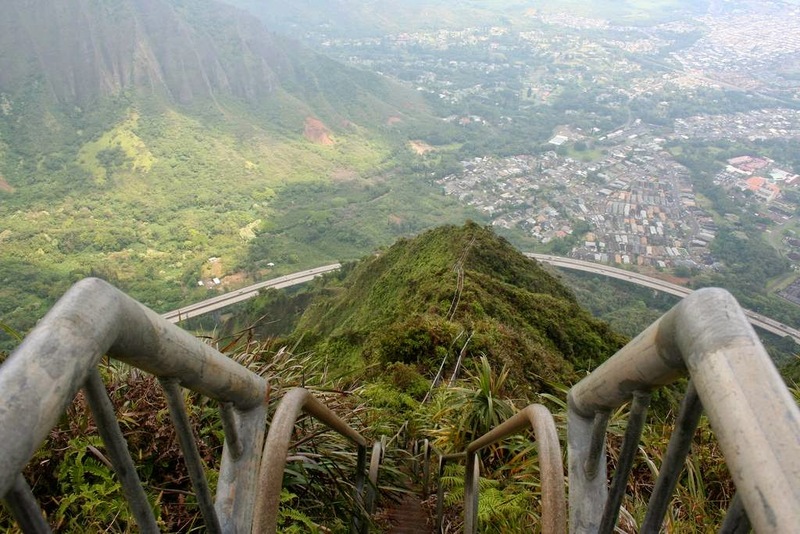 Yet how have the stairs survived intact for so long and why is climbing them prohibited? The stairs did, in fact, have a great deal of renovation work done to them. 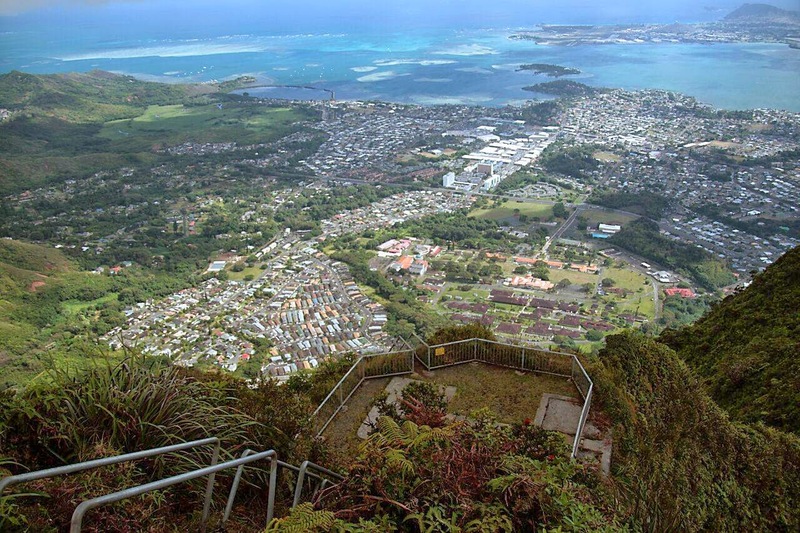 Just over a decade ago, almost a million dollars was spent overhauling the metal structure and making the ascent to the summit safe. 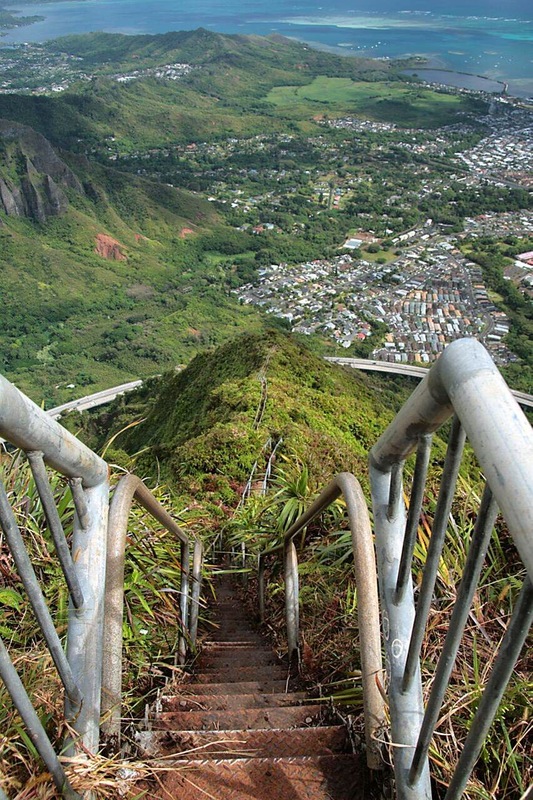 Yet people are not allowed to climb the stairs as their health and safety cannot be assured. There are a number of owners and one of them is asking for a $1 million insurance policy in order to allow people to ascend. 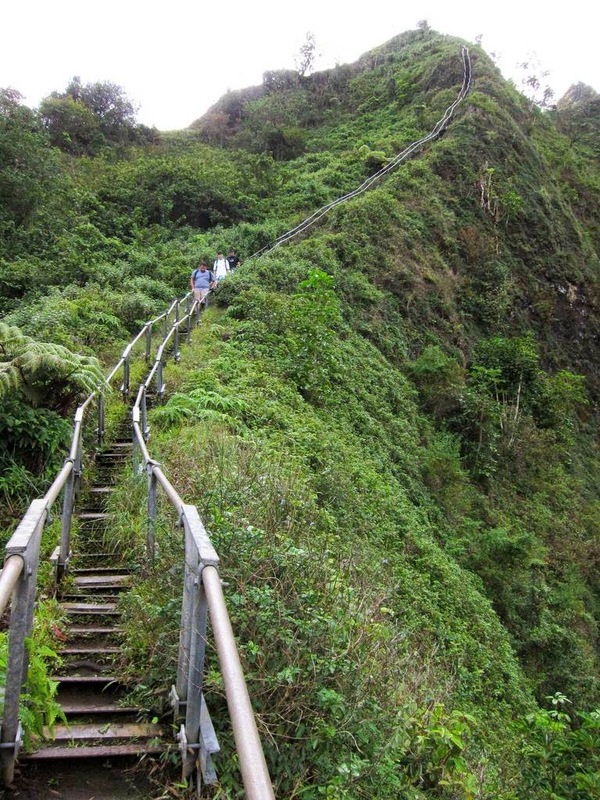 Although this has meant that the stairs remain off limits there are a number of ways to access them and people still persist in attempting the hike to the top. Legal issues aside, you can see why they want to do it. 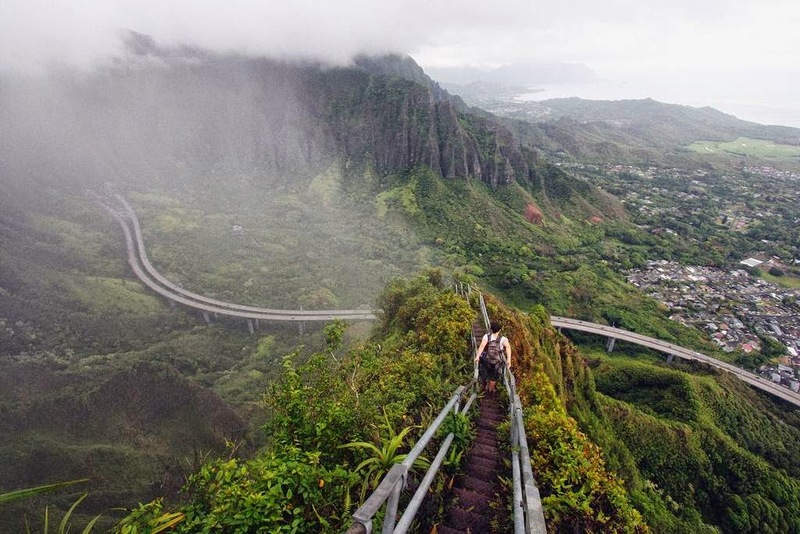 It is some hike, too. Although the myths that have risen around the stairs often insist that they are vertical, that is not the case (although you might be forgiven for believing them). 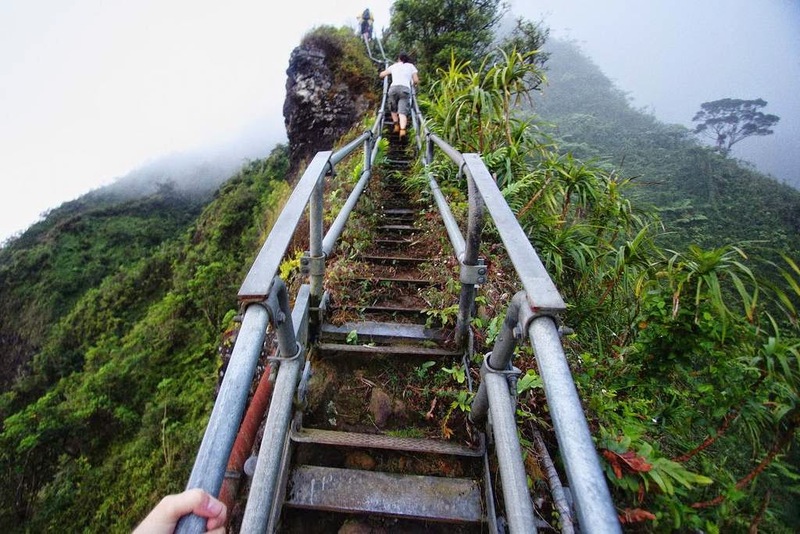 The slope has an average angle of 30 degrees; it took 4000 feet of ladders to ascend the 2,300 feet from the first step to the top. 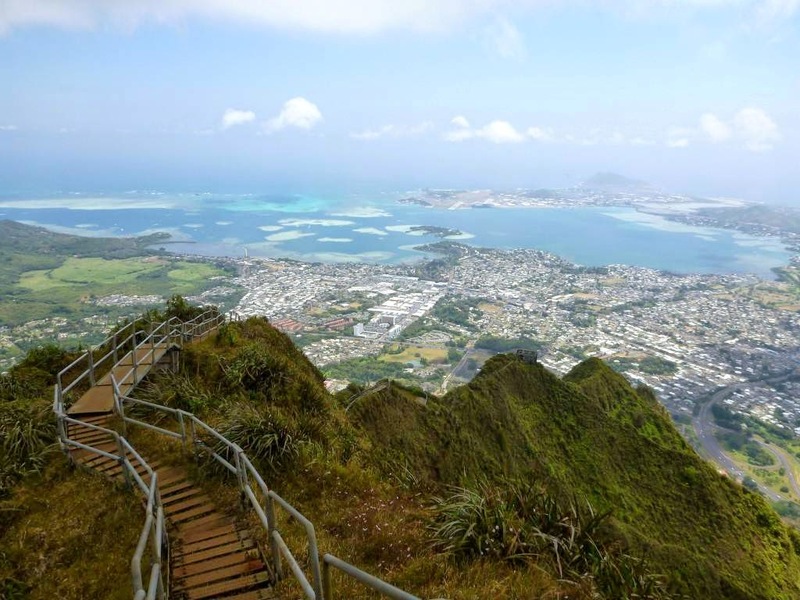 The views from the top are stunning (to say the least) and this chance to see Hawaii from ‘heaven’ as it were is one of the reasons why so many people support the conservation of the stairs. History aside, many feel that once something like this is built, with all of the staggering effort involved, it is up to those who come after to maintain it. 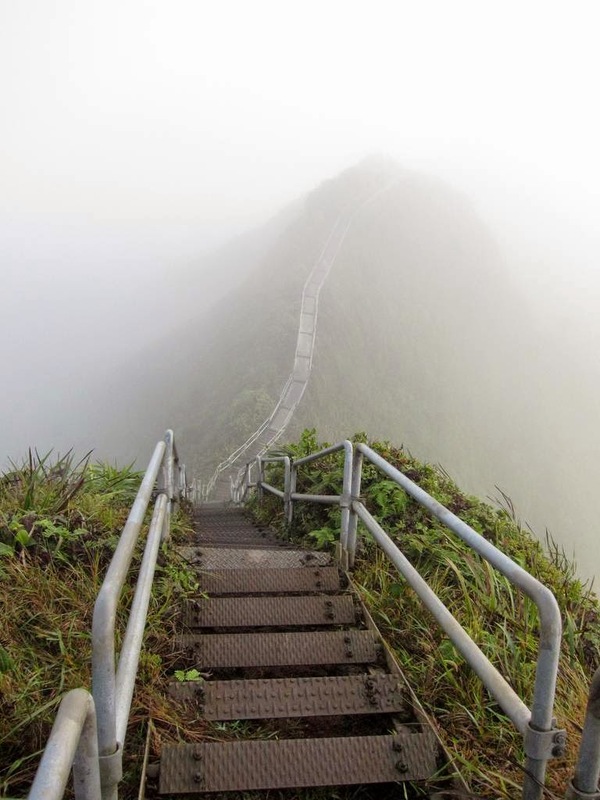 Yet there are ways of climbing this stairway to heaven without breaking the law. 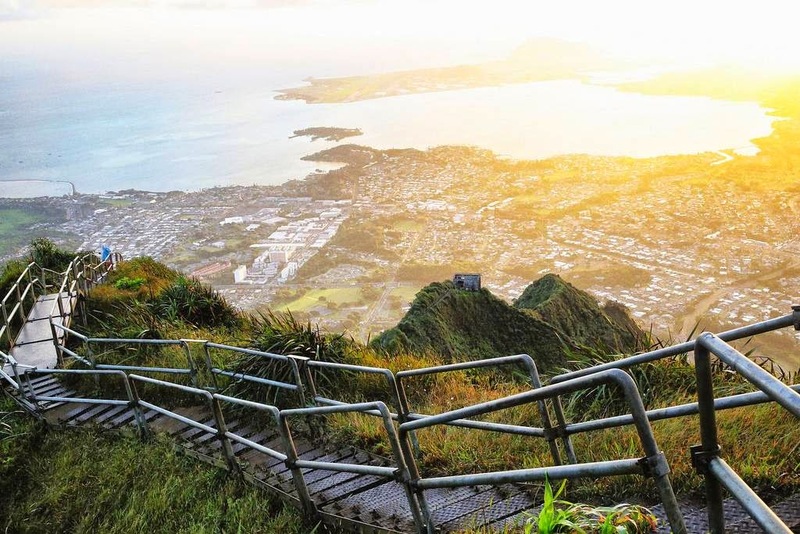 The Friends of Haiku Stairs, a volunteer group, offers workdays for those interested in doing a little more for the Haiku Stairs than merely illegally climbing them. 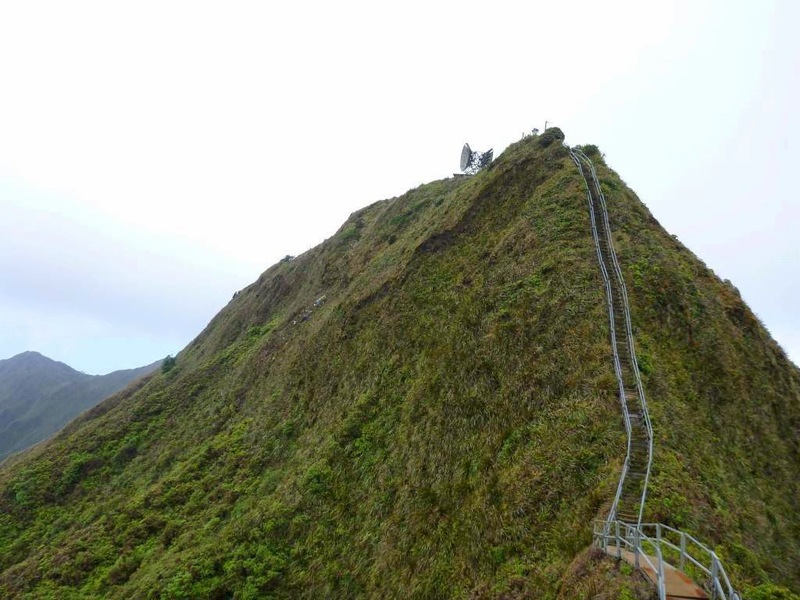 It is a gargantuan task, protecting this historic landmark, but it can only be hoped that these stairs can be saved for future generations to safely enjoy.